Perhaps what differentiates TruStile most from other door manufacturers is our passion for building eye-catching doors to create inspiring spaces — and doing things just a little differently. From our manufacturing philosophy, to our industry-leading lead times, to the people who run our business, TruStile’s mission is to change the way people think about doors. Founded in 1995, TruStile is now the nation’s leading manufacturer of MDF (medium density fiberboard) doors. Our philosophy is “No Limits” when it comes to manufacturing doors for any project. 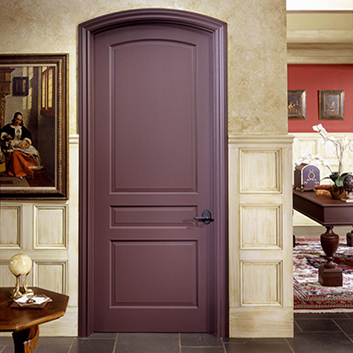 TruStile offers over 400 made-to-order door styles. If you can dream it, we can design and build it. Find the right door for your home's architectural style with the Authentic Designs by TruStile series, with design and material options for contemporary, traditional, colonial and more. TruStile presents four new collections to elevate the design of any home. 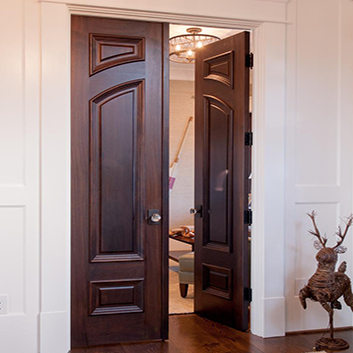 Choose from Infinite Rail, Plank Doors, Tiered Mouldings or Barn Doors. We are committed to the rich tradition of building high-quality, architecturally-correct doors with a range of customization options to fit your home's unique character. AVI is a distinguished supplier of TruStile Doors. Contact us to find the custom TruStile door design to fit your architectural style. Get tips from the experts at AVI on how to properly select windows and doors for historic homes, new construction or additions and remodeling projects.